Thanks to Green Lantern, we’re all conditioned to panic at the thought of a superhero character having an entire computer-generated outfit. After all, it was so infamously bad, they made a joke out of it in Deadpool. 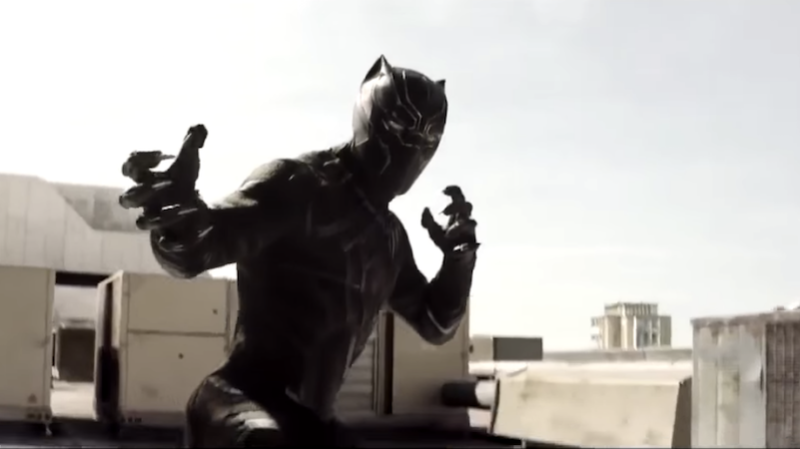 But technology has come a long way, and every single time we saw Black Panther on screen in Captain America: Civil War, the suit was animated. [They] really did a ton of work on that outfit. I mean, we had an outfit that we used on set. 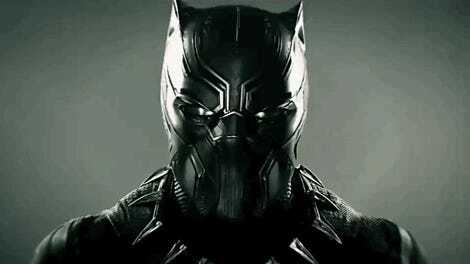 It’s impossible when you’re talking about an otherworldly outfit like the one that the Panther wears, which has a certain luminescence to it because it’s made of a woven metal. We could never afford to construct an outfit like that that an actor or a stunt player could move around in without sweating to death or that would capture the luminescence that we need. So what we ended up doing in post is ILM came in and painted over Chadwick and the stuntman. The outfit is completely CG. It’s then confirmed that every single frame where the costume appears, it’s CG. This is by far the best, and most subtle, CG suit work we’ve seen yet. And maybe the fear instilled in us by Green Lantern can go away now.